Future Grads is one of the few programs aimed at preparing the younger generation by exposing them to new work environments and helping them uncover a new possible career. The program sends San Francisco high school students to a variety of companies to work as interns. Each student learns from first-hand experience about what it’s like to work for a real company and have certain responsibilities to uphold. From my personal experience, I can tell you that Future Grads is a great opportunity for students to gain more knowledge about different companies while discovering new career options. As someone taking part in Future Grads for the second year in a row, I would like to offer insight and advice to other high school students interested in Future Grads. I wish I had known more about the program before joining, so I could feel more prepared and make smart decisions about how best to approach my company. I originally joined Future Grads last summer to gain experience in the workforce. 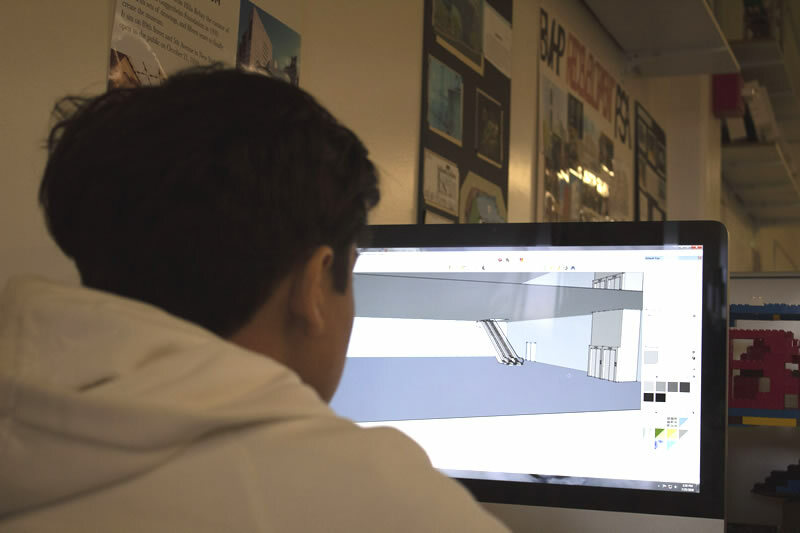 Along with several other Future Grads, I was placed in the Architectural Foundation, where I learned about different architectural softwares on the computer, including SketchUp, 360 Fusion, 3D’s Max, and Revit. Using these programs, we created our own buildings, designing them to work properly and efficiently. Towards the end of the program, we designed parks for the city, building off all the design techniques we had learned over the summer. Our final project reflected San Francisco’s commitment to sustainability by integrating eco-friendly features. At the end of the summer, we even had the chance to showcase our innovative ideas on how to improve San Francisco’s park system. Representatives from the city came to the Architectural Foundation to see our project presentations and hear our perspectives. This summer, Anthony is working to design a community center. I am interning with the Architectural Foundation again this year, hoping to work on another big project where I can create and contribute to something important. I have a better understanding of the importance of functionality, sustainability, and appeal, all of which are essential for creating a new building. I also learned many things about the workspace and how to act in a work environment, including speech, dress, interaction, hard work, and confidence. I discovered, for example, what a difference my initial appearance can make when introducing myself to new people. This is one of many important lessons that I have learned throughout my internship and continue to use in my everyday life. If I were to give any advice to new Future Grads participants, it would be to do your best to learn as much information as you can from your company. Although not every company that you intern under is going to lead you to a future career, it’s always good to internalize key information that you can use somewhere else in life, or even at a future job. You should also have fun and enjoy your experience with your company and any co-workers to make the most out of the program. I also believe that staying in touch with your company even after the program ends is a good idea, especially if you want to advance in that career field. You could potentially gain a part-time job with that same company after high school or college, just by staying in touch. If the company likes the work that you did for them over the summer and you show a lot of interest, they may give you a position. This is a great way to begin your path in a career of your choice and make a living out of it. I hope to continue working with Future Grads to gain more work experience and possibly uncover a career path of my own. Pro Tip: Not only is Future Grads a way to learn new skills, it’s also a great program to learn more about San Francisco and the culture of all these different companies in our backyard! 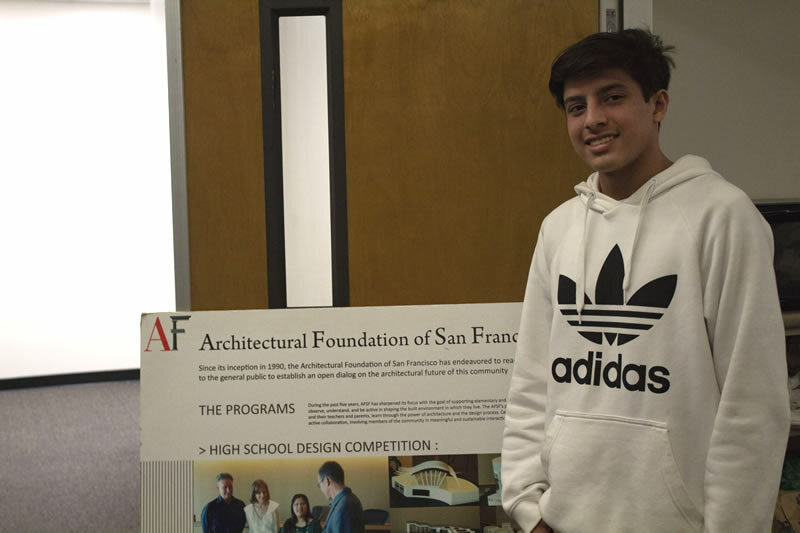 Anthony Martinez is a rising senior at Archbishop Riordan High School and second-year Future Grads participant.